Very Good. Sewn binding. Paper over boards. 176 p. Contains: Illustrations, black & white, Illustrations, color. Driving radio-control cars is an enjoyable hobby and also a competitive sport. This illustrated book starts by providing the information needed to choose the right model, and goes on to present advice on how to build kits as well as driving techniques, maintenance, modifying, set-up and the various different classes of racing. Good. Sewn binding. Paper over boards. 176 p. Contains: Illustrations, black & white, Illustrations, color. Driving radio-control cars is an enjoyable hobby and also a competitive sport. 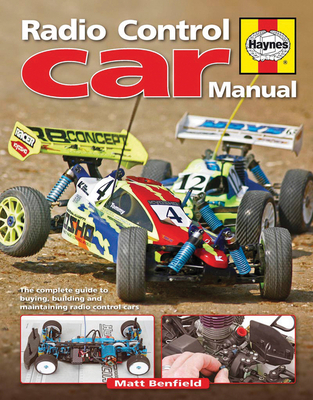 This illustrated book starts by providing the information needed to choose the right model, and goes on to present advice on how to build kits as well as driving techniques, maintenance, modifying, set-up and the various different classes of racing. Corner of the book is damaged. ***SIMPLY BRIT*** We have dispatched from our UK warehouse books of good condition to over 1 million satisfied customers worldwide. We are committed to providing you with a reliable and efficient service at all times.